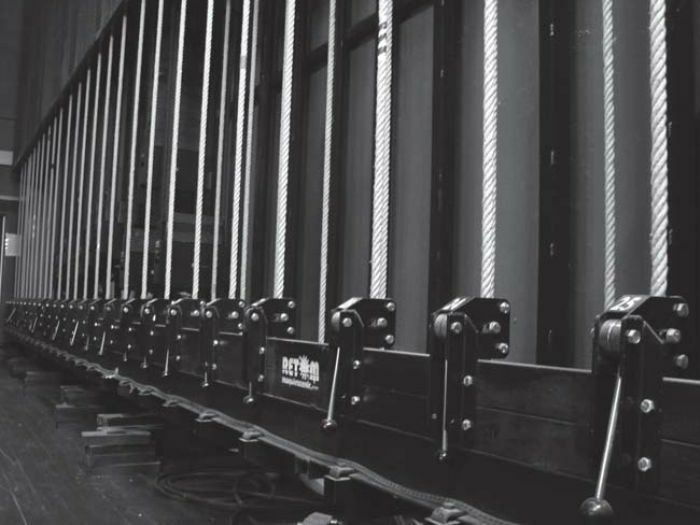 Counterweight cuts are the main element for the scenery handling and the most used in most of the installations performed, because of its simple handling, its low costs, little maintenance operations and the sceneshifter's opinion, who prefer this type of element against other alternative elements of totally automated performance. Industrias Maquiescenic, performs counterweight cuts of direct throw or doublé effect, depending on the vertical space available for the route of itself. 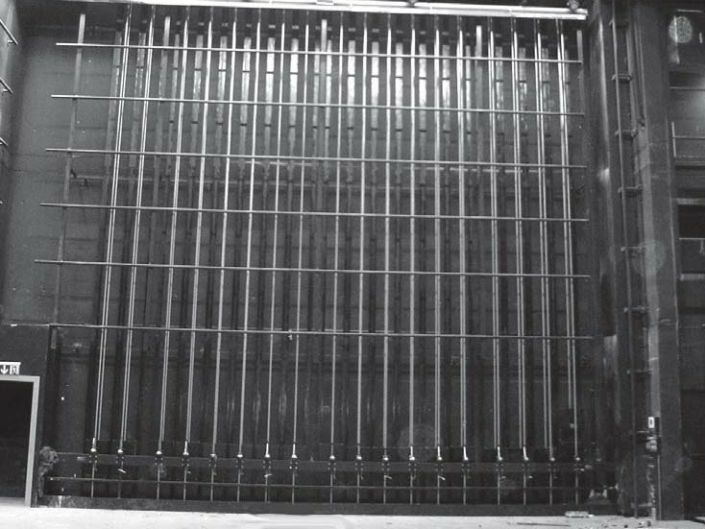 The counterweight carriage itself, where the casting counterweights are placed, the throw pulleys, head and forwarding, 'maromillo' braking systems, placed in the work corridor and at the bottom of the stage for the direct throw model, the steel wires widely dimensioned for the load to manipulate, the control 'maromillo', manufactured in quality hemp plant and the simple or jalousie batten, depending on its total length, the distance between the different throws and the load to support. Industrias Maquiescenic installs the necessary elements for the correct performance of the cuts, such as wire guides and head and throws bedplates, control and forwarding brakes, or facilitating the necessary data for the correct placing and mounting of themselves, offering its technical services so that the final result is totally satisfying.